Pfizer, a worldwide leader in the pharmaceutical industry, use GlobalVision photo rental services to create and operate a complete photo-studio and live-printing service at its booth during the EFNS 2010 – 14th Congress of the European Federation of Neurological Societies. Guests visiting the booth could take pictures facing a printed tiger and get away with a full-colour onsite printed mousepad. 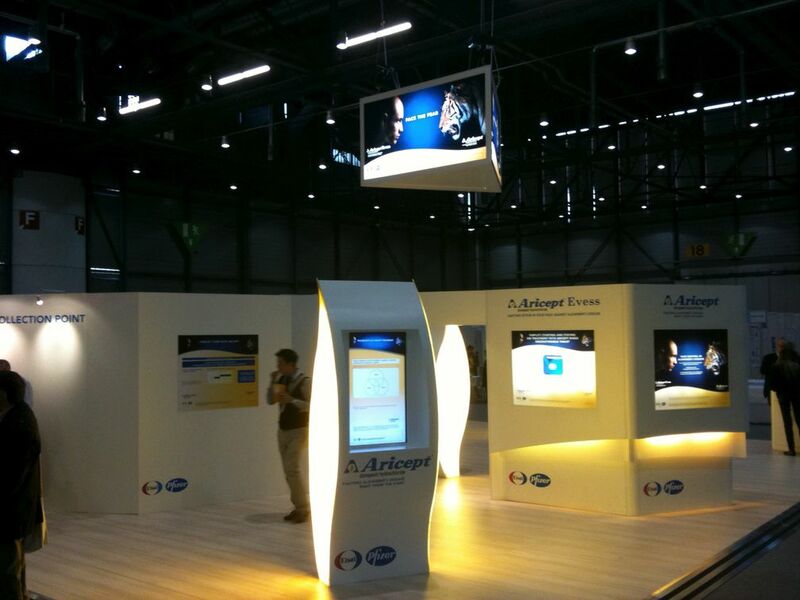 During a week, GlobalVision supplied a professional-grade photo-studio hardware in order to contribute to the attractiveness, success and overall lasting communication of the Pfizer booth. GlobalVision rental service range from photo hardware (photo studio, minilab for direct live printing, lightning, …), professional video camera rental and rental of broadcast equipment. We offer delivery and installation and also have all necessary qualified personnel to serve every installed system of ours.